A Cup of Jo (Maggy Thorsen Mysteries) by Sandra Balzo, an ARC to be published Oct. 1, 2010. Coffeehouse owner Maggie Thorsen is a suspect in the death of her chief rival in a barista competition. She has to solve the mystery, clear her name, and "heat up her love life" at the same time. Inside Out: A Novel by Barry Eisler, released June 29, 2010. "...the propulsive thriller that only former CIA operative turned bestselling novelist Barry Eisler could write." Jailed soldier Ben Treven will be released from prison if he accepts an assignment - find a rogue operator who has stolen torture tapes from the CIA and is using them to blackmail the U.S. government. Some heady stuff in this thriller! A Twist of Orchids: A Death in the Dordogne Mystery by Michelle Wan, 2008. I've read her previous orchid mysteries, Deadly Slipper , and The Orchid Shroud . The up and down relationship between Julian Wood and Mara Dunn is tested when strange things start happening to their friends in the mountains of France. I enjoy botanical mysteries such as this series set in France among orchid lovers and plant finders. TO SPEAK FOR THE DEAD (The Jake Lassiter Series) by Paul Levine, published 1991, introduced readers to linebacker-turned-lawyer Jake Lassiter. Priced for a limited time at $2.99, Levine is donating all royalties for TO SPEAK FOR THE DEAD to the Four Diamonds Fund, which supports cancer treatment and research at Penn State Hershey Children's Hospital. http://www.paul-levine.com/content/jake-lassiter.asp. PAUL LEVINE worked as a newspaper reporter, a law professor and a trial lawyer before becoming a full-time novelist. Two of his other books, Night Vision, and 9 Scorpions are also being made into e-books. Summary: Isabelle Lee is forced to leave her job as an editorial assistant at a swank New York magazine and decides to try her luck in Beijing, where her older sister Claire is practicing law. The two sisters were never very close but Claire invites Isabelle to stay in her spacious modern apartment in Beijing, and helps her get a job as a food writer for an English language magazine, Beijing NOW. Claire gives her advice on how to interview a famous Chinese film director:Isabelle feels like a fish out of water as she doesn't speak Mandarin well, has no friends in the city, and still feels intimidated by her older sister, the successful Ivy League graduate and lawyer who has fulfilled all their parents' expectations, except one, that is. The sisters feel the pressure of their parents, even in far away Beijing, to marry a Han Chinese and provide grandchildren as soon as possible. You don't know how I appreciate this, " I say in a rush. In the car, Claire issues advice while simultaneously checking her BlackBerry, scanning the newspaper, and smoothing on another coat of lipstick. "Just be casual," she says, her voice as instructive as Dear Abby. "Men don't like it when women are too aggressive. Especially Chinese guys." How the sisters deal with their parents, how Isabelle handles Beijing, her job writing on regional Chinese food, and the attentions of Jeff, a Chinese rock singer, as well as the interest of a mysterious young American neighbor, Charlie, are the meat of the novel. "The food here is amazing. So fresh!" says Julia, her voice soft with awe. This is the best dimsum I've ever had. Ooh!" she exclaims, flagging down a passing cart. "Chicken feet!" I enjoyed Ann Mah's writing and the way she combined setting and regional cuisine in her story of the two Chinese-American sisters. I could relate to demands or expectations of parents, and the sometimes testy relationship between a younger and older sibling - these seem to be universal. 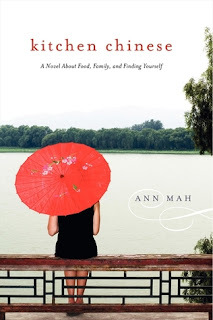 About the author: Ann Mah was born in California and lived in Beijing for four years, working as a dining manager for an English-language magazine. She was awarded a James Beard Culinary Scholarship in 2005 and now lives in Paris. Reading E-Books Online versus on Kindle, Nook, etc. I don't like reading books online. Does that mean I definitely wouldn't like the Kindle Wireless Reading Device, the Nook, the Sony , or the iPad ? Though I don't enjoy reading books online, I was thinking a Kindle might be nice now that the price has been cut by almost $100, I think. I'd hate to get one and never use it. Teaser Tuesdays, hosted by MizB, asks you to choose two sentences at random from your current read. Identify the author and title for readers. I cast my eyes downward, peering in the dark elevator shaft below. Book description: Grippando explores a world in which the destruction of financial institutions and the people who run them can occur in a manner of hours - perhaps even minutes. Grippando, author of The Firm, takes readers to the inner circle of Wall Street, illustrating the very real dangers of what Warren Buffet called "financial weapons of mass destruction." What's your Teaser this week? Three more days to enter the contest for Whiter than Snow by Sandra Dallas, thanks to the Book Report Network. I managed only a book and a half last week. It's been hectic. I reviewed the galley of The Queen of Patpong: A Poke Rafferty Thriller by Timothy Hallinan, a first-rate suspense novel set in Bangkok that will be out in August. Here's the review. "I'm half way through the book, printed in 1958 by Viking Press. Really interesting novel about a Norwegian consul in Shanghai in the mid-1920s and his daughters who go back and forth to China before the Japanese occupation of Shanghai. Interesting also that the author warns about watching Asians in the future, especially "Japanese, Chinese, and Indians" and their future influence in the world. (This was written in 1958) . Her book goes into the Japanese part of WWII, but Germany is mentioned only briefly. She says nothing at all about the German quest for world power during the same war. Interesting omission, since this was written only 13 or so years after WWII, and by a German author who would have had fresh memories of the war in Europe." I love old books and old historical fiction and what we can learn from them. I became interested in the WWII period of Asian history from reading a partial autobiography, China to Me by Emily Hahn, published in 1944. Hahn was an American journalist and a prolific writer who spent the years before and during the Japanese occupation in Shanghai, Hong Kong, and Chungking and experienced the war there first hand. Hers I find a fascinating journalist's view of people and events there. So much so that I am hooked on books written on this period in Chinese history. Found these the other day but as they deserve their own post, they are listed under Friday Finds, a meme hosted by Should Be Reading. Here's what I found while browsing at the library. by Ann Mah (2010). Mah was born in California, worked in Beijing as dining editor for a magazine for four years, won a James Beard Culinary Scholarship, and now lives in Paris. Lucky lady! Blood Hina: A Mas Arai Mystery by Naomi Hirahara (2010). Hirahara is an Edgar Award-winner. She lives in southern California. In this mystery novel, her character Mas Arai must clear his friend's name after the friend's fiancee goes missing. Paper Butterfly: A Mei Wang Mystery by Diane Wei Liang (2009). The author is a graduate of Peking University and lives in London. Mei Wang is a successful private investigator in Beijing and appeared in the first mystery, The Eye of Jade. A Nail Through the Heart: A Novel of Bangkok by Timothy Hallinan (2008). 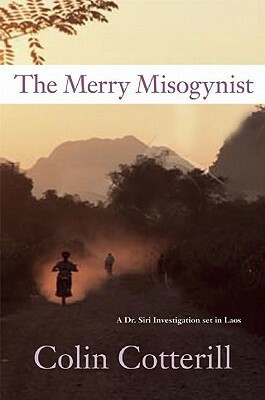 This books features travel writer Poke Rafferty and his adventures in Bangkok. One of the follow up novels is The Queen of Patpong: A Poke Rafferty Thriller, to be released in August. A Darker God: A Laetitia Talbot Mystery (Mortalis) by Barbara Cleverly (2010). Cleverly writes historical and archaeological mysteries in unusual settings. Her titles include The Last Kashmiri Rose, The Damascened Blade, and The Tomb of Zeus. She lives in Cambridge, England.